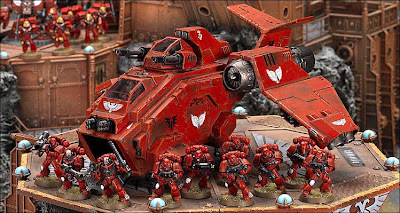 With GW posting pics of the new Storm Raven, I got to thinking about the names they give some of their vehicles. Storm Raven huh? It doesn't bear any resemblance to a raven if you ask me. When I look at that, I don't see a raven... I see a pelican. Now that's got a ring to it, the Storm Pelican! That strikes fear in your heart doesn't it? Some vehicles hit the mark perfectly. 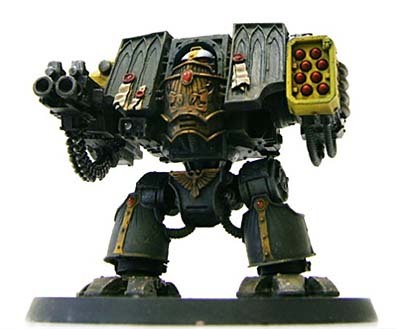 For example, the Heavy Bolter Tarantula. Looks like a spider to me, I'll buy that. And the Dreadnought. It just sounds mean. And it looks mean too. Very well done here, this thing sounds dangerous, looks dangerous and the name fits. 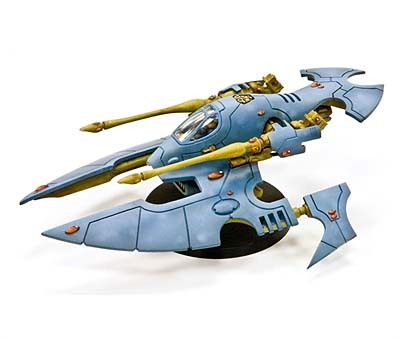 But then we have the Eldar Hornet. Hmmmm... I don't think so. That looks like a crayfish to me. Yep, crayfish it is. The Eldar Crayfish. Doesn't strike fear like the hornet does, but it definitely looks the part. If you want a really good laugh, Google crayfish and you'll never look at this model the same again. 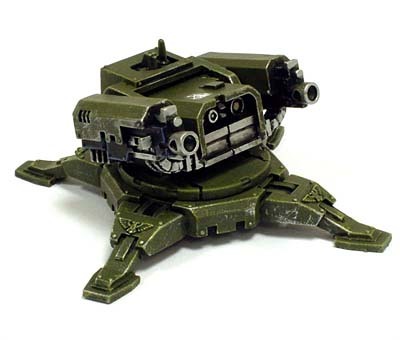 I actually feel bad for any Eldar players that get this and paint it red. You're just asking for the jokes to begin then. All in all, some vehicles are perfectly named I think. They sound cool, look cool and their name fits them like a glove. Others have not been so lucky. Looks like a space guppy. I'm not sold on it until I've seen it up close or different angles. Guppy. Crayfish. These are names that the Tau might use. Stinking commie fish people. Ah communists... beautiful idea, horrible execution (both literally and figuratively). Its like throwing a big juicy steak in the middle of a pack of junkyard dog strays, and saying "We'll all just share it..."
Chris Jones: "Guppy," I like that even more. Storm Guppy sounds very life and death serious. Until it dies and gets flushed by the new Space Marine deepstriking wonder weapon "the sunami toilet"
A piranha is a small, ugly, lop-sided looking fish. It ain't hydrodynamic at all and it is pathetically bouyant for a fish. Certainly not as fierce as a shark. Then you are in the water. Then there are lots of them. Then you are afraid. Very afraid. And then there is the IG Valkyrie. Not nearly enough curves for a model with that name. No one really knows what a Raven or Hornet will look like 40,000 years from now and on a different planet! Maybe Ravens will be that ugly?